Brown Designs offers a wide assortment of wood, aluminum and composite Plantation Shutters ideal for interior or exterior applications. 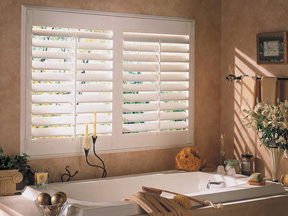 Our Plantation Shutters come in a broad range of natural colors such as cherry, walnut, mahogany, oak and pine. Additionally, we offer all popular colors to match your interior such as white, black or brown. 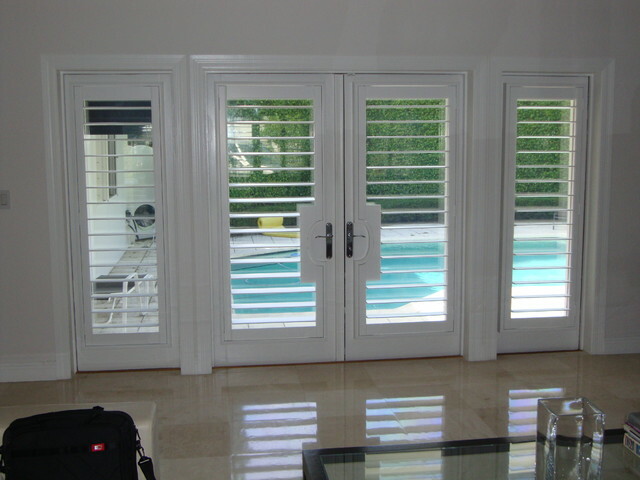 Brown Design can also customize any order of Plantation Shutters to meet your decorative requirements. 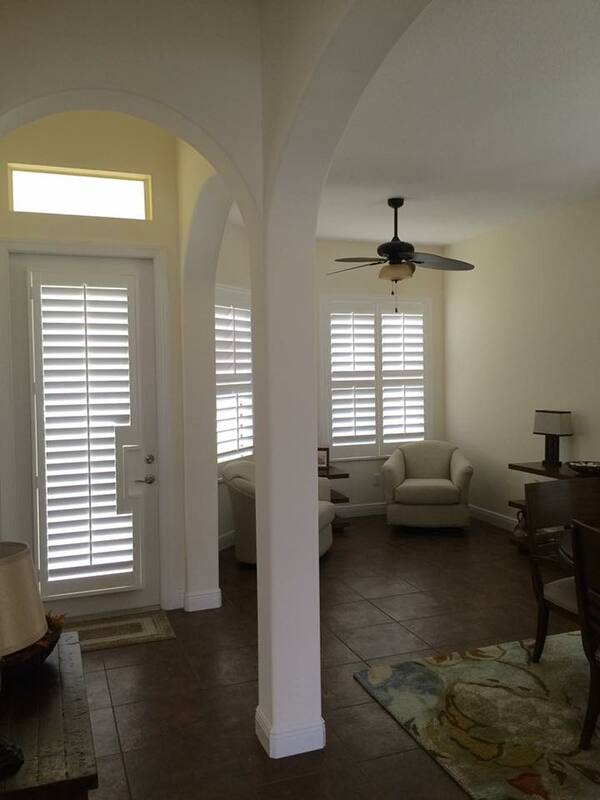 Plantation Shutters offer unequaled elegance and have become very popular in South Florida, not just for their aesthetic beauty but also for their functionality. Plantation Shutters help keep out the ultra violet light (UV) which can fade rugs, carpets, furniture and even wall paint. They also help to reduce the heat in your home which helps you save energy especially in the summer months. Our composite Plantation Shutters are ideal for interiors that receive a great deal of direct sunlight. Direct sunlight can degrade cheap shutters resulting in fading colors and cracks. We only use the highest quality materials for our custom shutters and only recommend utilizing high quality brands such as Norman and Mirasol. 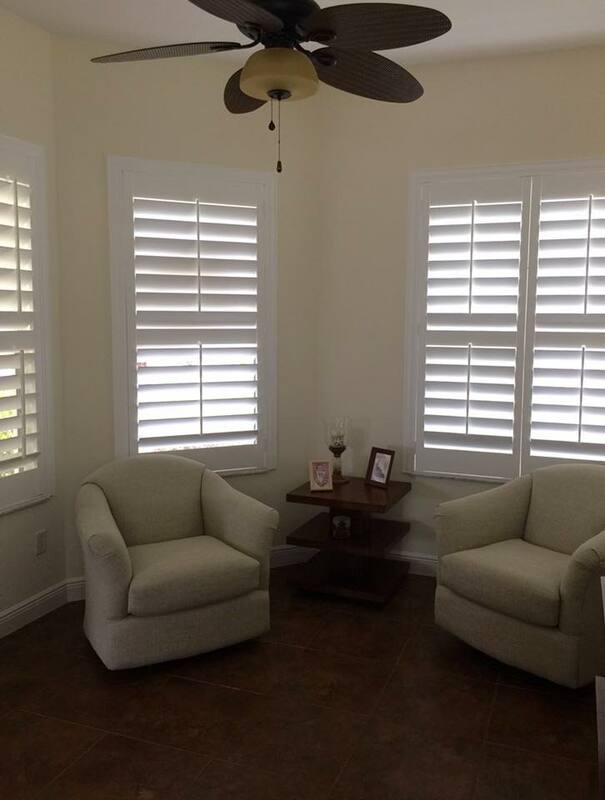 Plantation Shutters can be folded up several different ways by utilizing a simple tilt rod. Commonly, people use Plantation Shutters as window treatments but they can also be utilized on French and sliding glass doors due to the fact they fold up accordion style. 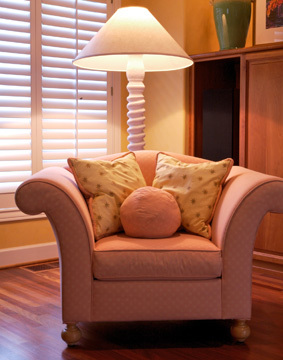 All of our Plantation Shutters are safe for children and pets. 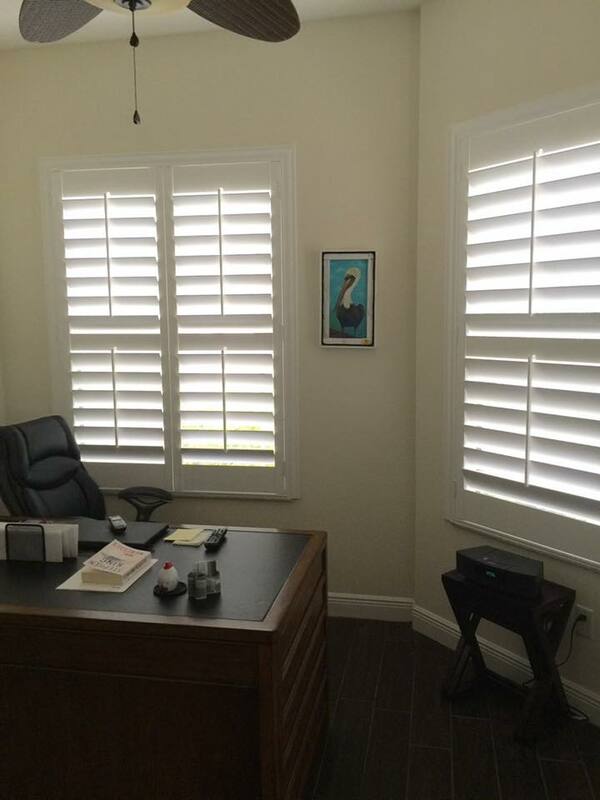 If you are considering adding Plantation Shutters to your home or office please give us a call today. We offer the most competitive prices, widest selection and a free onsite consultation with one of our sales associates who will show you the samples of our Plantation Shutters and can even offer suggestions to help you achieve the look you want. We serve the following locations in Miami-Dade: Downtown, South Beach, North Beach, Sunny Isles, Bal Harbor, Wynwood, Miami Shores, Key Biscayne, Coral Gables, Coconut Grove, South Miami, Pinecrest and Kendall. We serve the following locations in St. Lucie County: Port St. Lucie, Fort Pierce, Hutchinson Island, Indian River Estates, Lakewood Park, River Park and White City in St. Lucie County.